In spite of the political and economic uncertainty surrounding the UK, demand for Audit & Assurance professionals with experience of the Financial Services sector is at a premium. 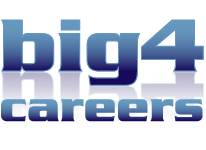 Career opportunities exist in Big 4 and mid-tier firms in London and other major UK Financial Services centres for qualified accountants with proven experience in auditing clients in the Banking, Insurance and Investment Management segments. Roles range from newly qualified audit seniors, through the management tiers up to senior manager levels.